As leader of the Lovin' Spoonful starting in 1965, John B. Sebastian won hearts worldwide with his charming lyrics, spirited arrangements, and DIY attitude inspired by jug bands of eras past. In the '70s his solo career brought his skill as a singer-songwriter to the fore in more mature (and IMO under-appreciated) recordings; however, he has also enjoyed success composing for theatre, movies, and TV and writing songs for kids. 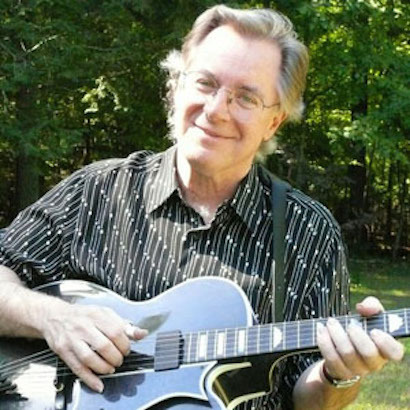 For the past couple of decades John has collaborated with many greats in a return to his roots: blues, jug band, and old-fashioned good time music of all types. He still tours extensively. I had the extreme good fortune to talk with John this week about many things, including the new Sundazed reissues of his band's first three albums -- Do You Believe in Magic, Daydream, and Hums of the Lovin' Spoonful -- in mono, as they were meant to be heard. Hi, listeners! As you hear this I'm traveling, but please hold out hope that I can comment live once I touch down in New Orleans. This interview was more special to me than I can say. VERY BIG THANKS to Jeff G. for handling this playlist while I am on an airplane. See you all soon! Safe landings and have a delightful time in NOLA, Amanda! And congrats on getting the interview!! Hello fellow listeners. Looking forward to hearing the interview. Johns Lydon & Sebastian on WFMU in two days. Impressive. Hooray, I get to listen to the show today! And what a show it's gonna be. Gonna be a lot of favorite-starring, I suspect. @Rev: I know, right! I have yet to listen back to the Lydon one. I had fears of it going like the PiL Tom Snyder interview. I knew that's where the name came from, but great to hear the John Hurt track! 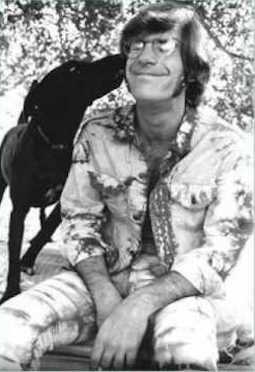 And the person who suggested using the name "Lovin' Spoonful" was Fritz Richmond. Hi, it's your playlist manager Jeff G. checking in to say that I am enjoying the show along with you! I liked "Welcome Back, Kotter." Both the TV show and its theme song. Can't listen to this now, but wanted to drop a note of approval in advance! 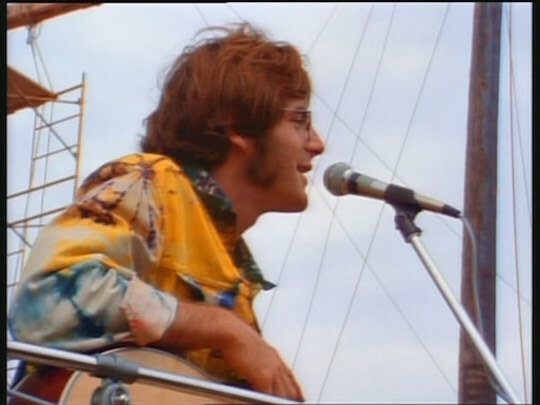 GREAT job getting a John Sebastian interview! I already heard the story of the Mississippi John Hurt song inspiring the "Lovin Spoonful" name, and then made the connection that John S. must've been a big fan--I am as well. It's the "shouted whisper" style of singing both John S. and John H. do well. Catching up (don't want to type while listening to the conversation), I regard this compulsion to "call it something" as a construct of what Joni Mitchell called the star-making machinery. Stuffing everything into a category is useful for the industry, but does absolutely nothing to enhance the experience of an enthusiastic and thoughtful listener. I'm all for the "unclassifiable" option on iTunes. And yeah, John Lydon back-to-back with John Sebastian! "What - a week for the sta-tion..."
@Parq: Is there an unclassifiable option on iTunes? Or is that just "shuffle"? Matt, "unclassifiable" is one of the canned genre options. ...Lennon listening to Spoonful & saying 'damned songsmiths' ! Or at least it used to be. I haven't updated iTunes in years because every time they release a new version, they eliminate another feature that was making it fun for me. As it is, I hardly ever use it any more. 'Deserted Cities of the Heart' by Cream? Holy crap, Nelvana! Producers of "Rock & Rule" and the only salvageable bit from the "Star Wars Holiday Special," the intro to Boba Fett! I'm not a fan of industry putting labels on artists, but I myself hyper-label everything - I like to relate to musicians' history and influences and something that describes their unique place in music (like "lo-fi ambient psych-rock") not to make purchase decisions or decide opinions of them, but to "catalog" and "map" musicians relative to each other. I made it to NOLA on the white-eye express dudes!!! Getting our bags now. I'm so glad you all are enjoying the show. Not enjoying it, Amanda...LOVING IT! Great interview, but I figure anyone is fortunate to have a chat with Amanda, eh? The love is flowing so thrillingly! Funny you're asking about whistling. 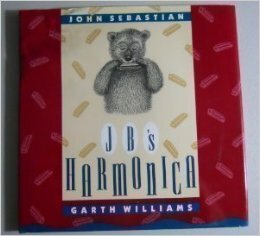 I distinctly remember the day I learned to whistle, when I was about 10, while listening to "Hums." Amanda, this interview is awesome and I can hear you smiling all the way through it! @RRN63: Yes, like that! Good "web" of musicians mutually influencing there. And on Revolver too, Paul claimed that "Good Day Sunshine" was inspired by hearing "Daydream". @Amanda: Thanks muchly for this interview (in advance)! And have a GREAT time in NOLA! Try the [pretty much any food from NOLA]! I can't remember not whistling (I can distinctly clumsily whistling a tune when I was four), probably b/c my father was constantly whistling. @Matt, 1:03, making up genre names is one of the things I liked most about iTunes. I have no doubt that the current version has eliminated it. 'Manda, this is going great. You have a terrific rapport with him (similar childhoods, I'm guessing) and it shows. great show ~have a blast in NOLA! Hi Amanda! This is fun! This is the story of Johnny Lydon..."
This is the story of John Sebastian..."
@Amanda - Keep an eye out for hurricanes! Joaquin is kicking around these days. @Jeff/Not Amanda, firm hand on the playlist tiller, BTW! Yes, Jeff is doing a stoopendous job! Thank you again, Jeff, for pulling the double shift today. I would love to see the Kweskin Jug Band sometime @doctorjazz! I think Jesse Jarnow has seen them, he's a big fan. "They're going to yell, but they're not mad." Yeah, that Viv Vance story was great. Can't believe "Six O'Clock" and "Mystery" are considered overlooked; they were central building blocks to my own musical salad days. Just love the backing vocal roll-out on this. Just love it. If I could, I would click *multiple* favorite stars for this live take of "Darlin'". That chuckle after "quarter of my life". The "Darlin's" kiss-off. Oh man, oh man. They should have signed for Elektra. You knocked it outta the park, Amanda. Charlie Rose got nothin' on you, girl! Obviously, you will want to take a nice nap with all the warm fuzzies delivered so deliciously by Amanda and John. But when you wake up, tune back in to the Drummer Stream for Gary Sullivan's BODEGA POP LIVE program. Gary is presenting a special show: ROCK HASHANAH. Here is Gary's description: "Sixties Israeli rockers, Yiddish singers of the early 20th century, Jewish-Arab song treasures from the Maghreb and beyond, and -- far vos nisht? -- for you, maybe we throw in some Bolan, Gainsbourg, and Zorn." So remember (1) Take a nap, and (2) Wake up in time for Bodega Pop Live, which airs here on Give the Drummer Radio, 7-10pm. excellent show and interview Amanda! That was so so sweet. Loved it! Smashing show, Amanda, and dug the hell out of the interview! See you in NOLA! HURRAY! The end song is a cover of "The Fishin' Blues" by Henry Thomas. No, Charlie. Amanda! is definitely ≥ 3. Great interview Amanda!. You are a natural. It brought me back to Greenwich Village and Woodstock. Checking in again now that things are less hectic. This show was a delight to do and the interview such a thrill. I did neglect some great music, just due to time constraints. Anyone reading this should seek out the albums Welcome Back and The Four of Us. Moreover, the six Spoonful LPs here represented MUST be enjoyed by everyone and not just the songs I included. Thank you all for listening!